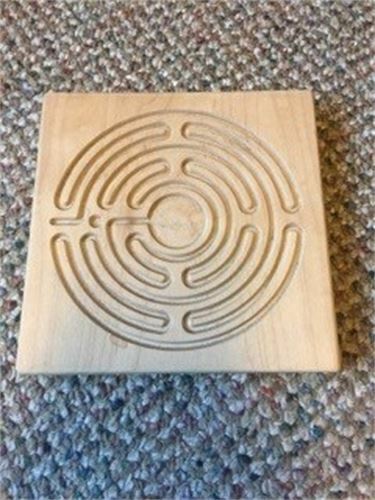 For people who are not ambulatory, this hand size labyrinth offers the same benefit as a walking labyrinth. As a right-brain activity, the labyrinth can teach stress reduction and enhance meditation abilities. Simply take a small pointed device (such as a covered pen) and trace your way to the center and back.